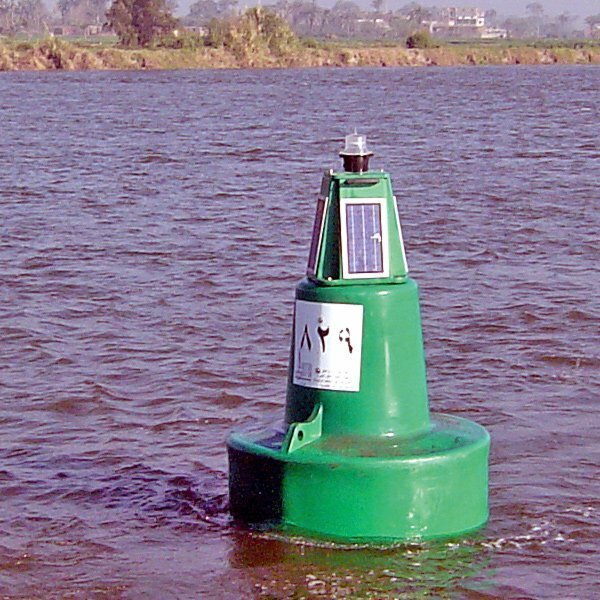 The FLOATEX buoy 1600 RIVER belong to the ultimate generation of navigational aids. 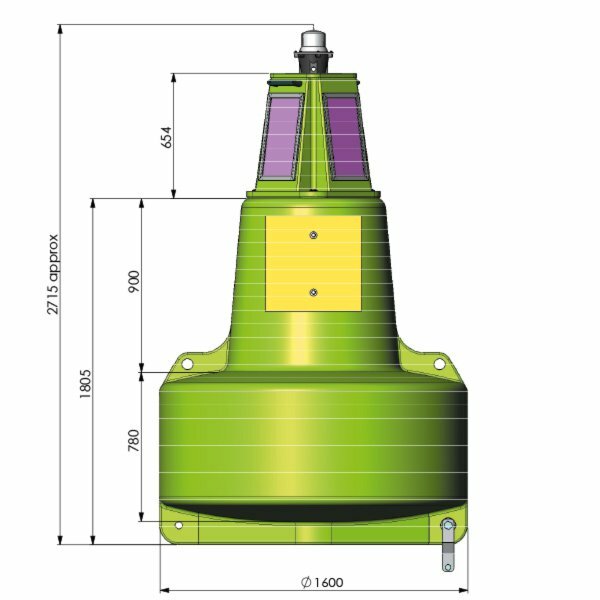 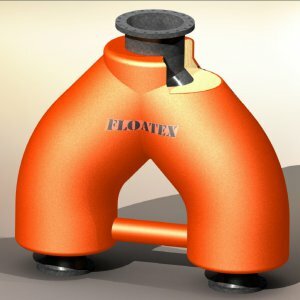 The necessity of reducing costly maintenance programs, typical of steel products to avoid negative ecological ambient impact (such as old paint, zinc coating and sandblasting) inspired FLOATEX to develop and realize the 1600 RIVER buoy. 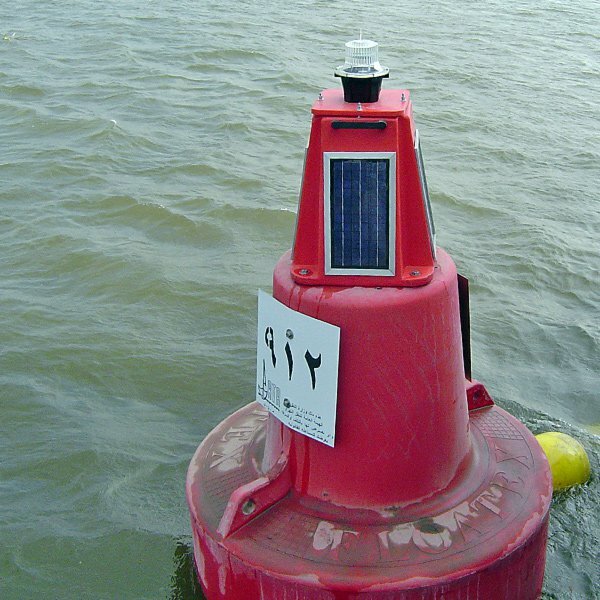 The colour of the buoy is not obtained by painting but is embedded in the plastic, so that no painting is necessary for almost the whole buoy life. 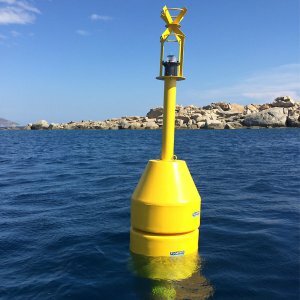 The design of the buoy and the combination of the materials utilized allows the FLOATEX buoy 1600 RIVER to be installed in sheltered areas as well as channels and specially river locations. 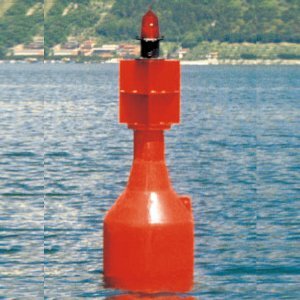 Originally designed to be installed in rivers with medium current, the FLOATEX buoy type 1600 RIVER can be utilised as well in shallow waters locations due to the high stability achieved. 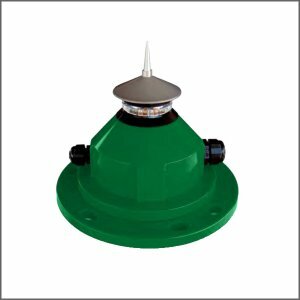 Exposed metal parts have been reduced to nearly none and bolting systems are all in stainless steel. 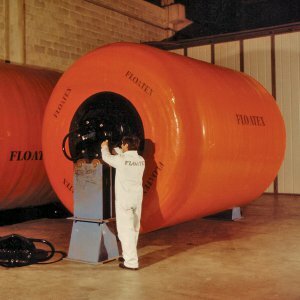 The unsinkability of the buoy is obtained by the latest FLOATEX foam filling technique by 100% closed cell expanded floating foam. 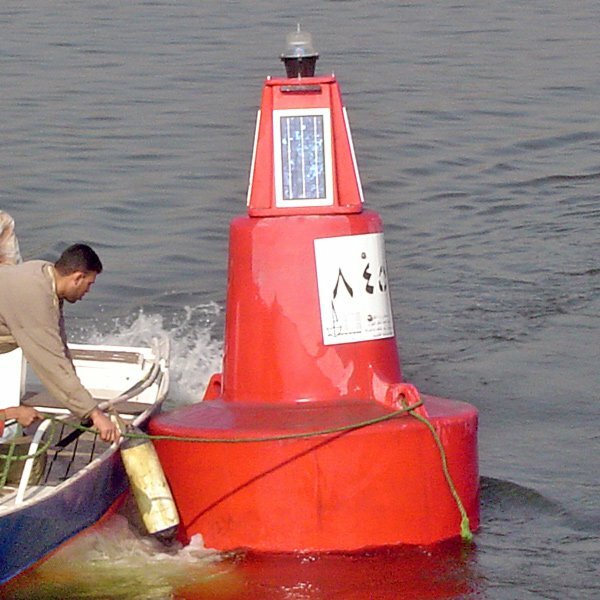 Two big lifting eyes on top of the buoy body ensures easy lifting and temporary mooring of the maintenance boat. 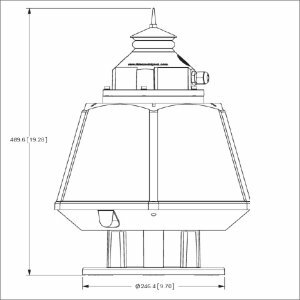 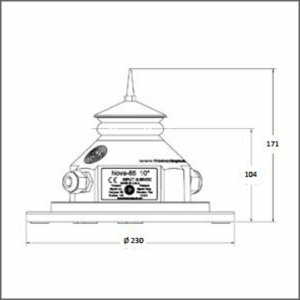 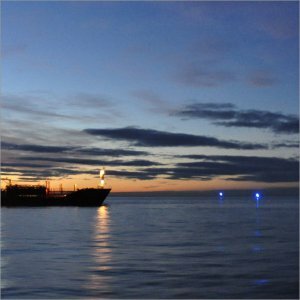 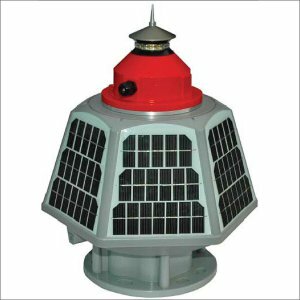 FLOATEX buoy 1600 RIVER is normally equipped with latest compact solar powered marine lanterns.